Premium #24 Nylon backstop netting comes standard black dyed and UV bonded with the option to add BSF UV PAINT TREATMENT for extra long life. (up to 60% longer). 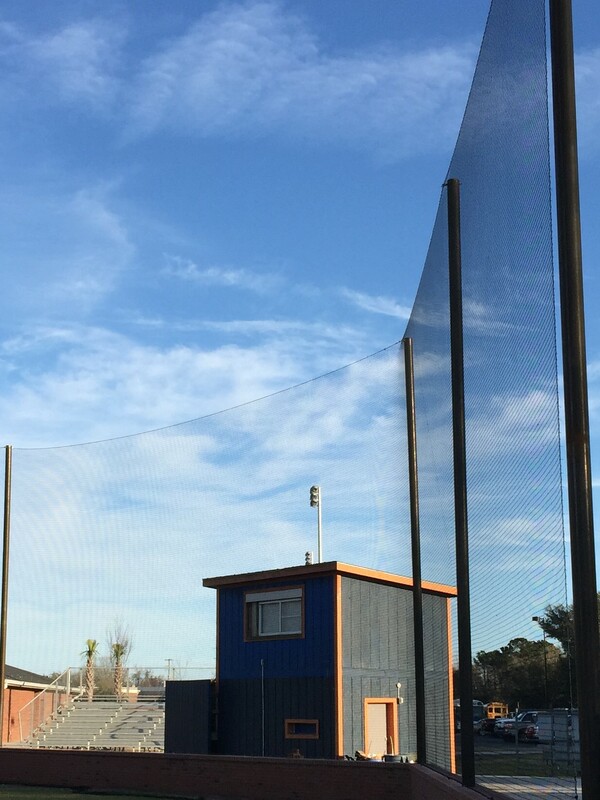 Contact one of our netting specialists today for more information on our custom backstop netting systems. #24 Nylon backstop netting is constructed from premium 100% Dupont Black Nylon Fibers and uv bonded. Our BSF UV PAINT TREATMENT is available to add 60% longer life to your backstop netting.